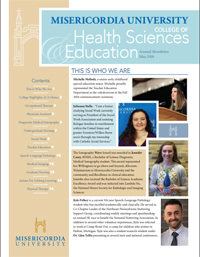 The College of Health Sciences and Education (CHSE) is dedicated to the education of future and post-professional health care practitioners and educators through both traditional and graduate programs, certificates, and flexible alternative education options. Above average board passing rates in healthcare professions ranging between 92-100% (first time pass rates). Clinical, service, and research opportunities abroad. Last year, students participated in activities in Rwanda, Jamaica, Portugal, Italy, and Australia. Student research opportunities including presenting findings at national and international conferences. 4 specialty institutes/clinics service the community and provide student with research and clinical experience. We graduate the largest number of health science professionals in Northeastern Pennsylvania constituting the majority of practitioners/clinicians. We offer a rich education through clinical and fieldwork experiences, service-learning, interprofessional engagement and research endeavors. Our students can experience international service and research as a component of their education. For example, students have travelled to Australia Guyana, Rwanda, Jamaica, and Portugal. With over 100 publications and presentations, our faculty are nationally and internationally recognized and have the excellence to assist in guiding students through their education. In fact, our PA program obtained a 100% pass rate. Likewise our faculty and student run clinics assist students in learning their discipline while providing services to the community. 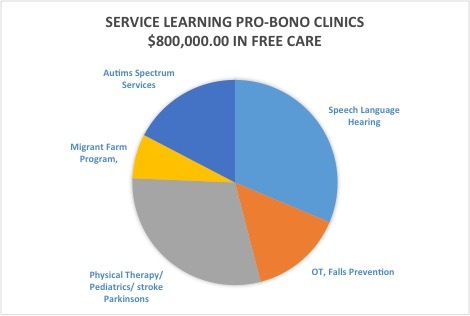 Our centers and clinics include the Autism Center, Interprofessional Clinic and Speech-Language Hearing Center. The College of Health Sciences and Education supports student transformation embracing the University’s mission and the values of justice, mercy, service and hospitality. Through the use of traditional face-to face and distance/digital education, our programs maintain high academic and professional standards grounded in sciences, liberal arts and evidence based practices. The College of Health Sciences and Education is participating in programming as part of National Health Professions Week in November. Several majors in the college are hosting a free simulation and education program on campus for prospective students and their families on Thursday, Nov. 9. To find out more about the program and other related activities for the week of Nov. 6-10, please click here. 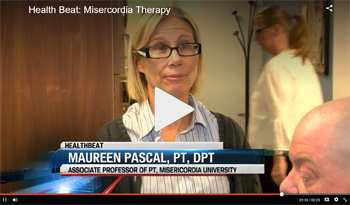 The Misericordia University PT clinic was recently covered by regional media. Please click the images below to review the video packages. Our annual Health Care Symposium occurred on 10/7/2017 with 367 attendees. The conference approximately doubled in attendance. Two national key-note speakers, Four faculty presented research and approximately 40 students presented research through a poster presentation. 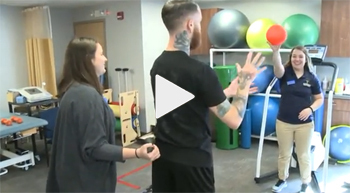 The Misericordia University Occupational Therapy Department is holding a series of five free fall prevention workshops on select Fridays beginning September 22 at The Hope Center, 205 Main Street Luzerne. 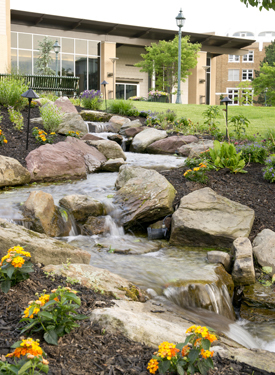 The Falls Prevention program is open to people 65 or older who are living independently within the community. Sessions will be held: September 22, October 6, October 20, November 17 and December 1, 2017. Medical Imaging Students Provided Several Service Activities: Dorothy Day Catholic Worker Farm, Susan G. Komen Ribbon Sale, Fall Mentoring Event. The Misericordia Interprofessional Education Connection community page is designed as a resource for those interested in interprofessional education, collaboration and practice. For more information about Interprofessional Education visit the MIPEC community page. 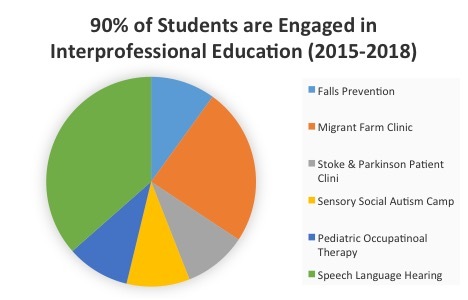 The Speech-Language-Hearing Center at Misericordia University is a comprehensive facility serving the residents of Northeastern Pennsylvania. Located on the second floor in John J. Passan Hall, the center provides complete diagnostic and speech, language, and hearing services for children, adolescents, adults and elderly with communication disorders. The clinical associate benefit document, and the clinical policies and procedures are available in both .docx and .pdf formats. Please click the links below to download the desired format.